Hey y'all! Welcome back, hope you had a nice weekend, and enjoyed half time last night! I mean the game?.... Nah, I actually meant half time! Haha, I mean Bruno was great am I right?! He needs new music out! Ok now I guess I shall get on to today's nails! 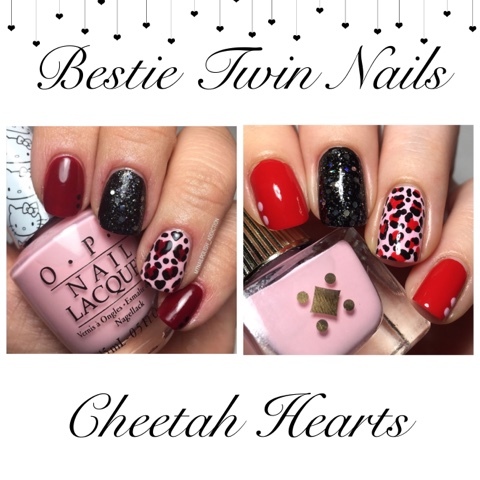 Today I have a fun bestie twin nail look with my friend Jessica of, mynailpolish_addiction IG , & Blog. 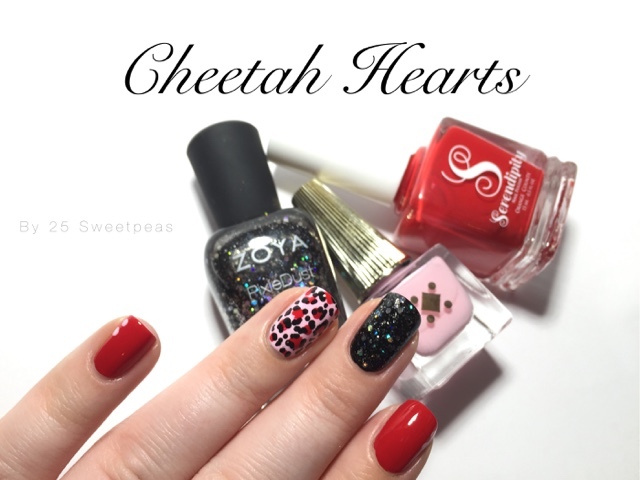 She came up with this great idea for a heart cheetah print look and I am loving it! Plus guess what? I have a tutorial!! 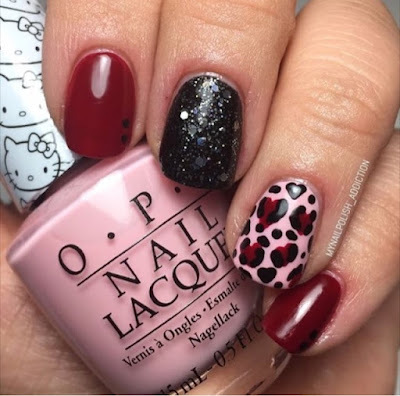 For this look I used my favorite Red which is Serendipity Big Red Bow which is on sale for $5 right now, then the pink is Deco Miami Don't Call Me Baby Girl. 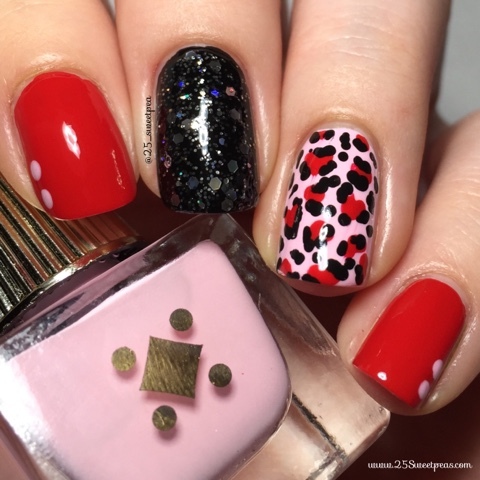 The sparkly black is one coat of Zoya Imogen on top of one coat of Zoya Willa. Love how both of our nails turned out! 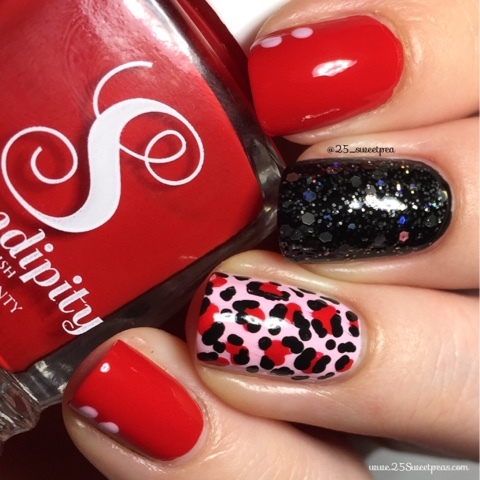 Here is a look at mynailpolish_adicction nails solo and up close! Fabulous right!? You can find her blog here, and IG here. Well I hope y'all enjoyed this post and are having a nice Monday! 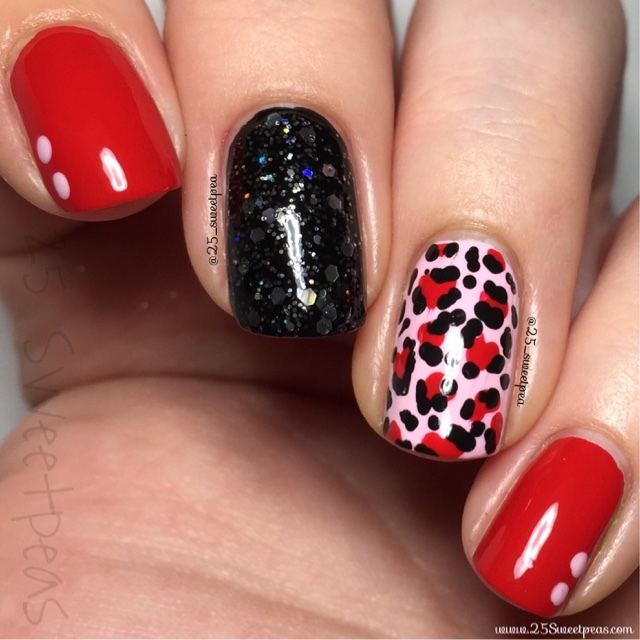 If you have any Valentine's Day nail art request let me know, and let me know what y'all thought of these! Yay! Thank you so much too! I was afraid it just looked like normal Cheetah!